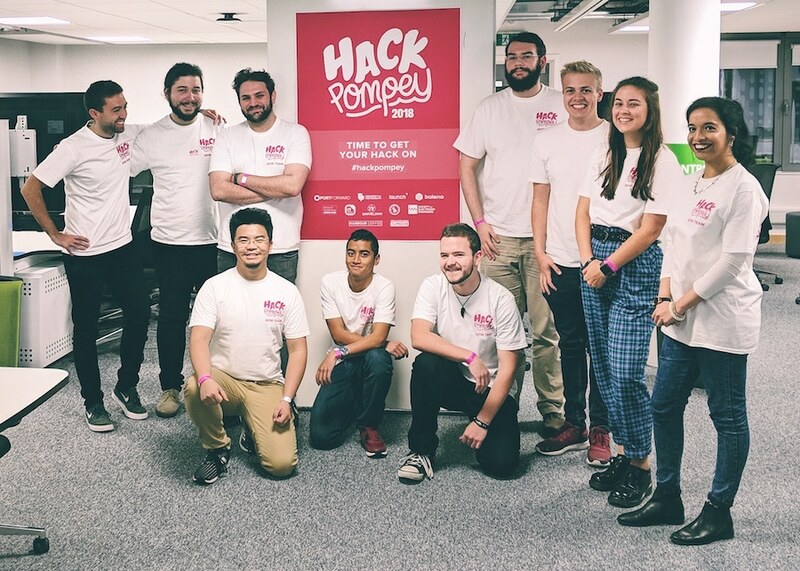 Families, hobbyists and students alike came together recently to spend the weekend having fun while making and creating apps, games and more during Hack Pompey, the city’s annual hackathon event held at the University of Portsmouth’s new Future Technology Centre. The ‘hackers’ were encouraged to work on any ideas that might have been ﬂoating around in their minds but never quite had the time to materialise – or – to draw inspiration from the themes set for the event, which were: Smart Cities, Wearable Technology, Space, Game Jam, and Social Good. Over the weekend more than 70 hackers in 20 teams ranging from society committees to whole families created some fantastic things. Some of the highlights included: a captioned photographic timeline of what the Curiosity Rover is up to on Mars right now, a prototype mobile-app designed to aid mental health support in the city, and even a meta-game simulating the challenges faced when running Hack Pompey! 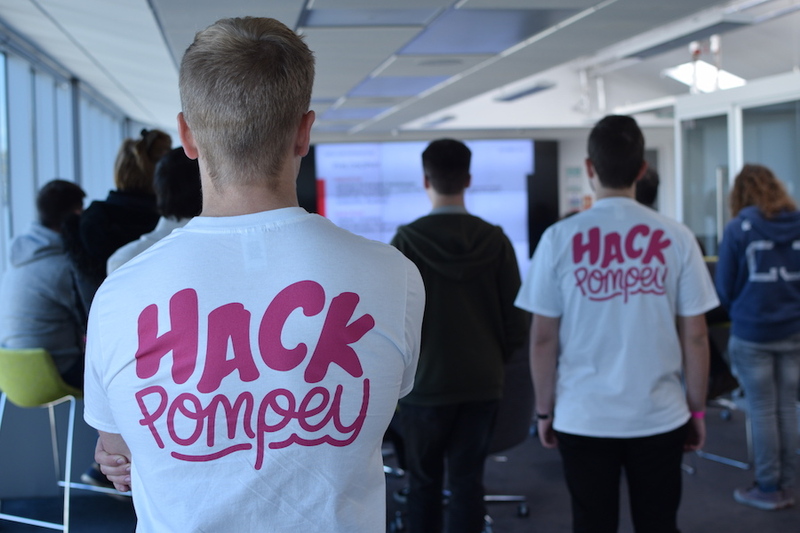 Hack Pompey began in 2014 as a social hack day at Portsmouth University’s Innovation Space. 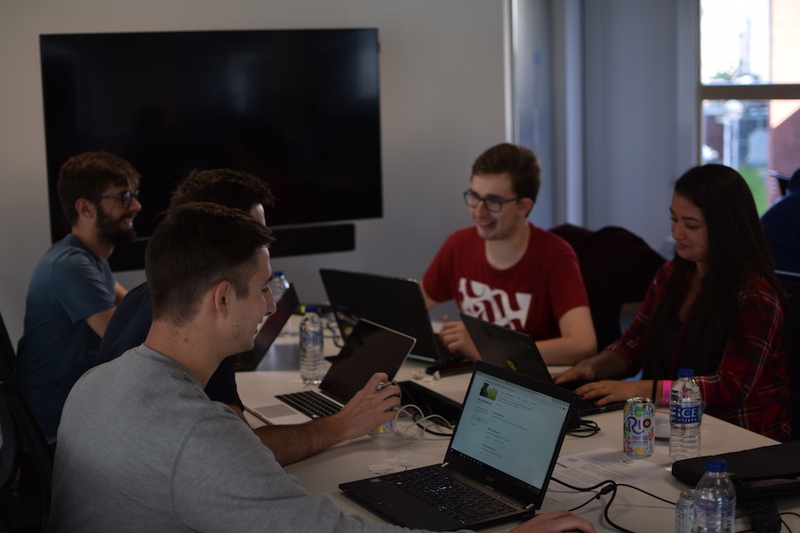 Conceived by two School of Computing undergrads Zac Colley and Peter Jones, it has since become a non-proﬁt organisation led by a team of six Portsmouth University graduates Tom Hewett, Louis Capitanchik, Ryan Thicket, Ahsana Choudhury, Ming Wu, and David Ralph. “Hack Pompey exists to be a fun event for people to come together to solve emergent problems, or work on ideas that they’ve come up with, in an environment full of likeminded, helpful people from the local community – and best of all, it’s completely free,” explained Tom Hewett, one of the directors of Hack Pompey. One of the really inspiring aspects of this year’s event was the diversity in hackers. A great range of ages were present from a variety of diﬀerent disciplines. The cross-pollination of minds from diﬀerent backgrounds and stages in life always come together to mould really clever and exciting ideas and Hack Pompey was able to provide an opportunity to bring those ideas forth into reality. The event was made possible through support from local tech companies such as Launch International, KnowNow Information and Port Forward; global companies such as Balena who specialise in internet-of-things tools and of course, the University of Portsmouth.